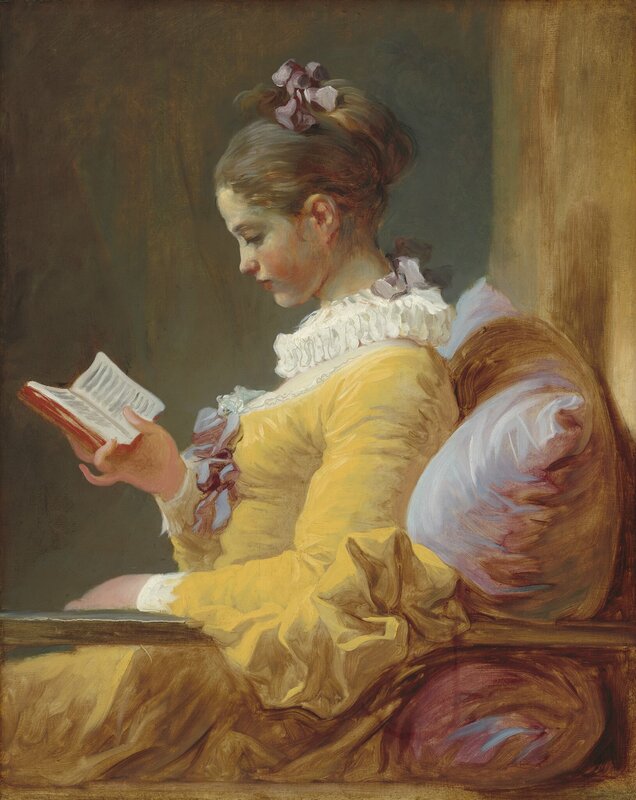 Jean Honoré Fragonard, Young Girl Reading, c. 1769, oil on canvas, National Gallery of Art, Washington, Gift of Mrs. Mellon Bruce in memory of her father, Andrew W. Mellon. WASHINGTON, DC.- Combining art, fashion, science, and conservation, the revelatory exhibition Fragonard: The Fantasy Figures brings together—for the first time—a newly discovered drawing by Jean Honoré Fragonard (1732–1806) and some 14 of his paintings that have been identified with it including the National Gallery of Art's Young Girl Reading (c. 1769). 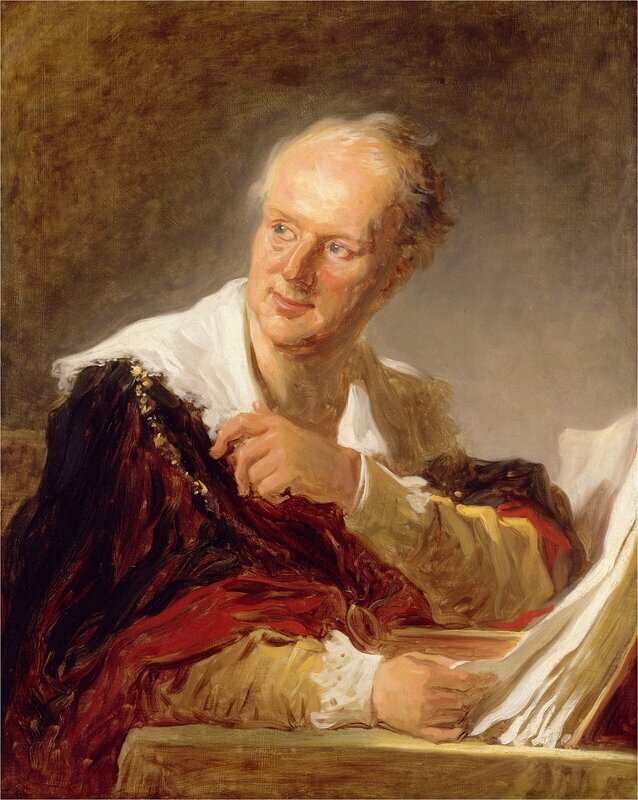 Fragonard is considered among the most characteristic and important French painters of his era, and this series casts light on the development of his career, the identity of his sitters and patrons, and the significance of his innovative imagery. Fragonard: The Fantasy Figures and the fully illustrated catalog that accompanies it not only present new art-historical and scientific research into this series but also examine the 18th-century Parisian world in which these paintings were created. The exhibition may be seen only at the National Gallery of Art, Washington, in the West Building, from October 8 through December 3, 2017. Jean Honoré Fragonard, Sketches of Portraits, c. 1769, drawing, Private collection, Paris. 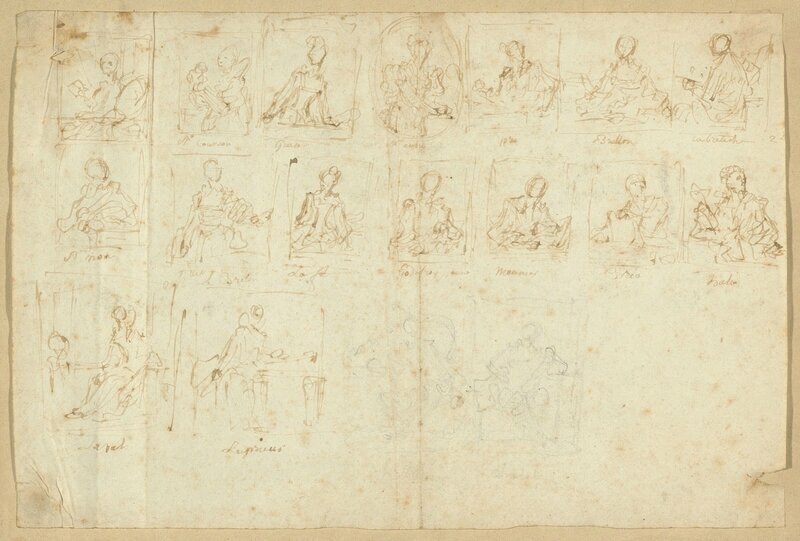 Covered with 18 thumbnail-sized sketches and apparently annotated in the rococo artist's own hand, the drawing now known as Sketches of Portraits emerged at a Paris auction in 2012 and upended several long-held assumptions about the fantasy figures—a series of rapidly executed, brightly colored paintings of lavishly costumed individuals. 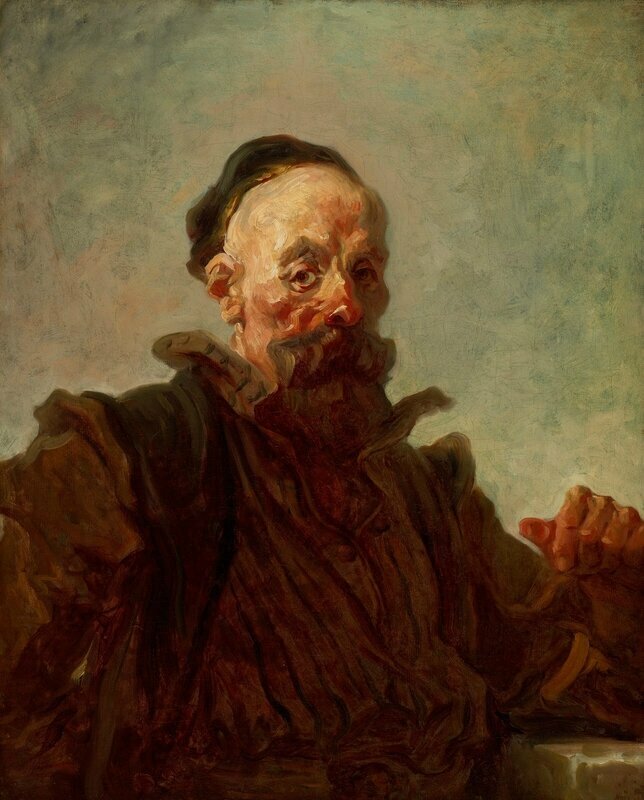 "The first exhibition to unite the fantasy figures with the recently discovered drawing focuses on this aspect of Fragonard's production in a powerful and intimate way," said Earl A. Powell III, director, National Gallery of Art, Washington. 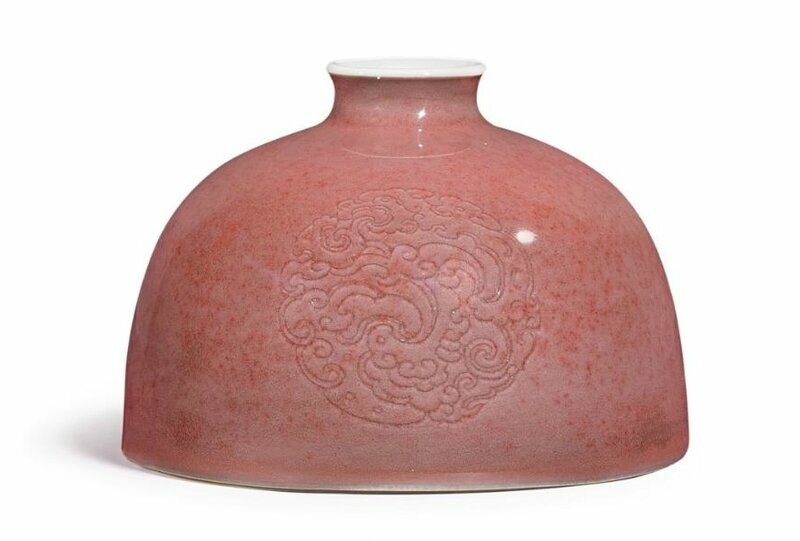 "We are grateful to the public and private collections, both here and abroad, that have generously lent to this exhibition, as well as to Lionel and Ariane Sauvage whose gift supported the catalog's publication." 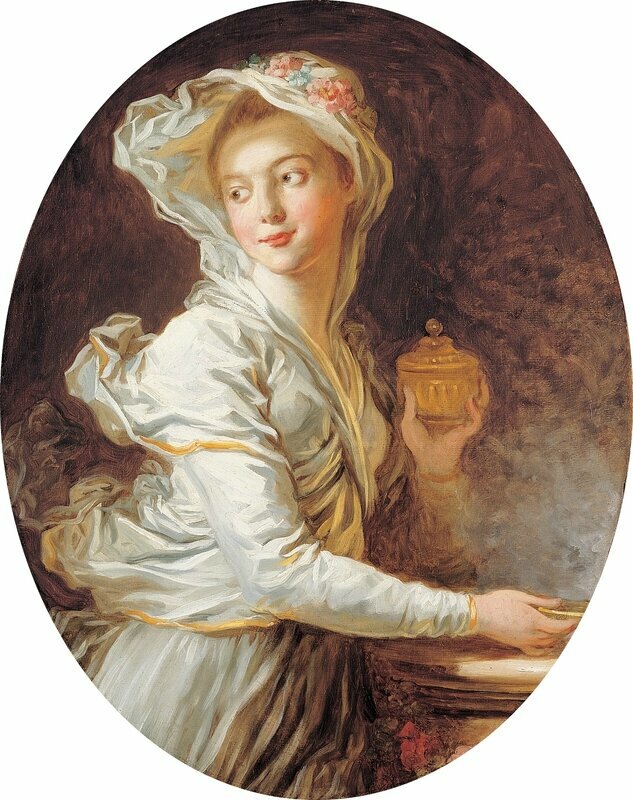 Jean Honoré Fragonard, The Vestal, c. 1769–1771, oil on canvas, Private Collection, courtesy Etienne Breton, Saint Honoré Art Consulting, Paris. 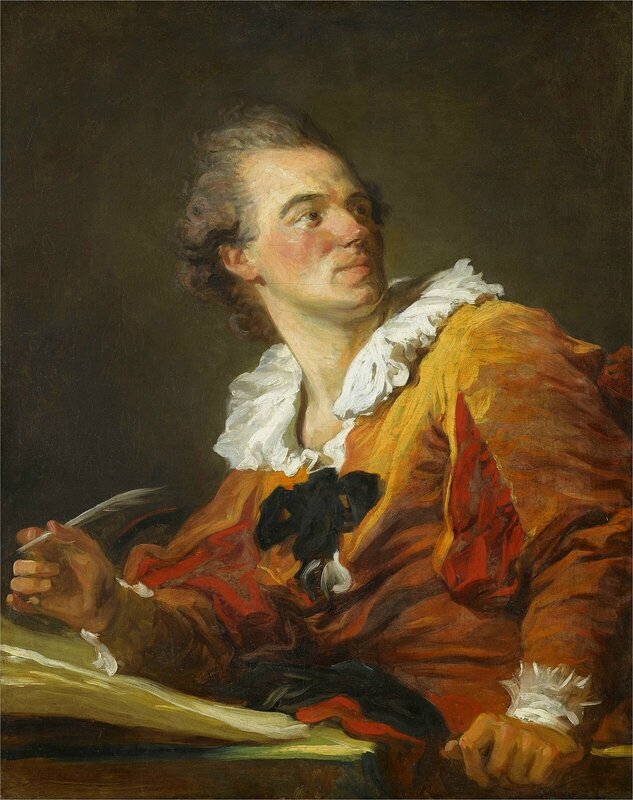 Fragonard: The Fantasy Figures explores the many interpretations of this series in the context of the artist's career. 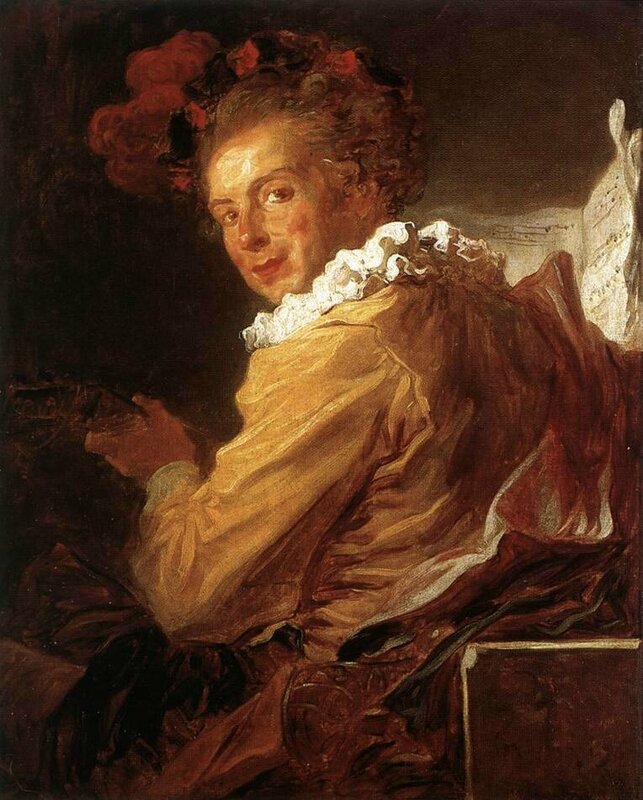 Fragonard strove to create a specific portrait type that showcased the painterly skill for which he was renowned. The fantasy figures also enabled him to experiment and to refine his ideas of artistic reference and emulation. Created within the competitive atmosphere of the Parisian art world, these works were influenced by a range of events, artworks, and visitors to his studio. The fantasy figures depict men and women posed at leisure or employed in various pursuits, such as acting, reading, writing, playing instruments, or singing. Wearing extravagant attire, these figures are dressed in what was known in 18th-century France as à l'espagnole (Spanish style)—plumed hats, slashed sleeves, ribbons, rosettes, ruffs, capes, and accents of red and black. Shaped by artistic imagination, these paintings pushed the boundaries of accepted figure painting at the time. 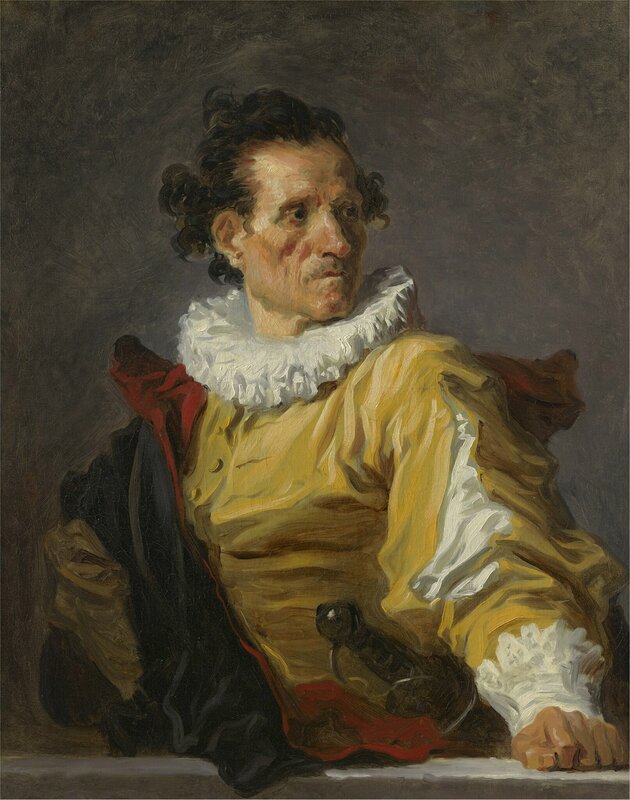 Exhibited for the first time is the newly discovered Sketches of Portraits (c. 1769), a thin sheet of paper with three rows of 18 small sketches—all but one are annotated with a name, 14 have been identified with one of Fragonard's painted fantasy figures, and four remain unknown. The emergence of Sketches of Portraits prompted a two-year investigation of Young Girl Reading, conducted as a collaborative effort by the Gallery's Yuriko Jackall, assistant curator of French paintings, John K. Delaney, senior imaging scientist, and Michael Swicklik, senior conservator of paintings. 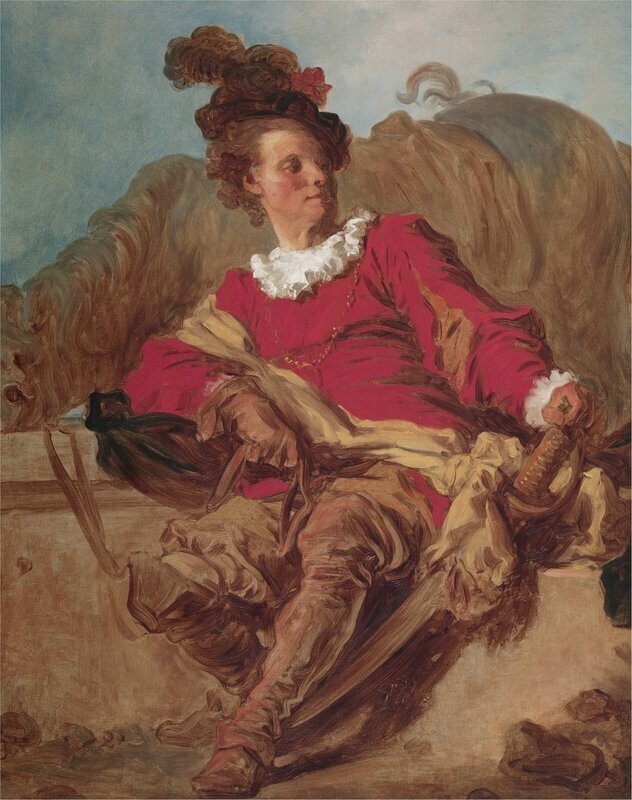 Published in the April 2015 issue of Burlington Magazine, the findings established Young Girl Reading as a part of the fantasy figure series and shed light upon Fragonard's approach to the ensemble as a whole. 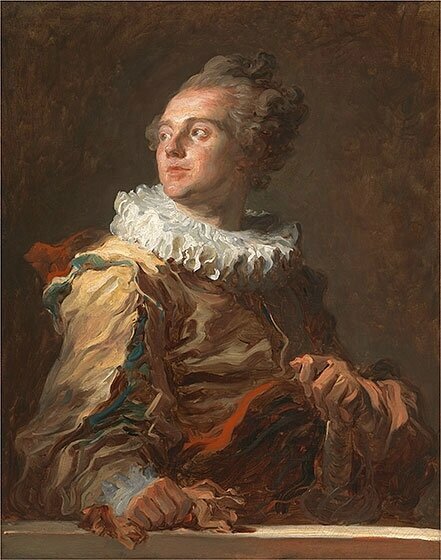 Jean Honoré Fragonard, The Actor, c. 1769, oil on canvas, Private collection. 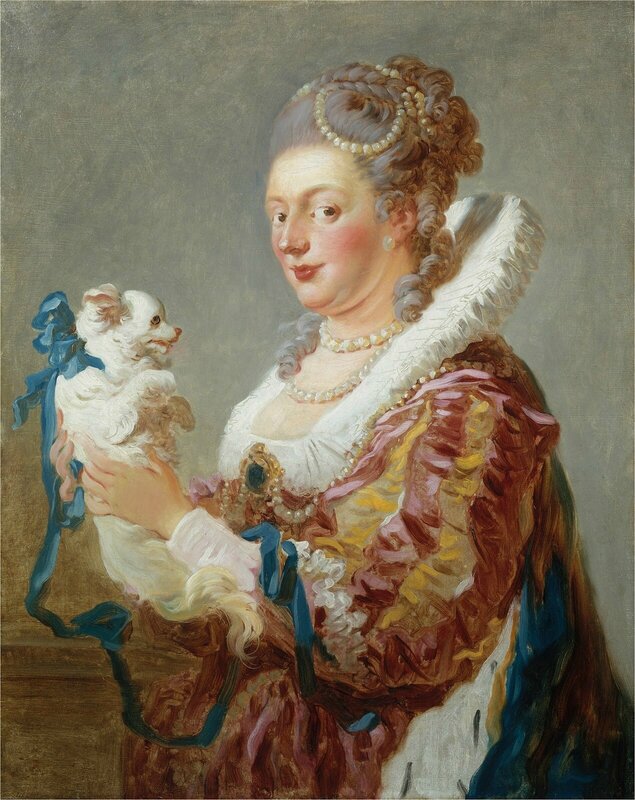 Other works in the exhibition include the rarely lent, privately held portraits of the Harcourt brothers François-Henri, duc d'Harcourt (c. 1770) and Anne-François d'Harcourt, duc de Beuvron (c. 1770)—which are on view together for the first time since the 1987 exhibition Fragonard at the Metropolitan Museum of Art and the Musée du Louvre—as well as The Vestal (c. 1769–1771), The Actor (c. 1769), and The Singer (c. 1769). Also on view is the Louvre's M. de La Bretèche (c. 1769), which depicts the wealthy brother of one of Fragonard's most devoted patrons, Jean-Claude Richard, abbé de Saint-Non. 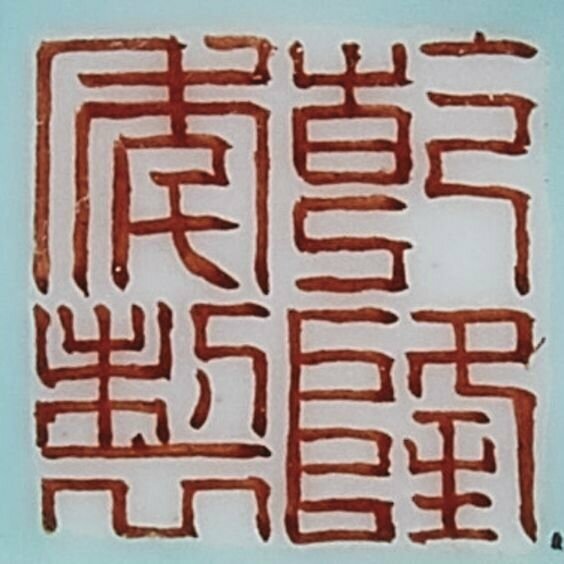 The exhibition is curated by Yuriko Jackall, assistant curator, department of French paintings, National Gallery of Art. 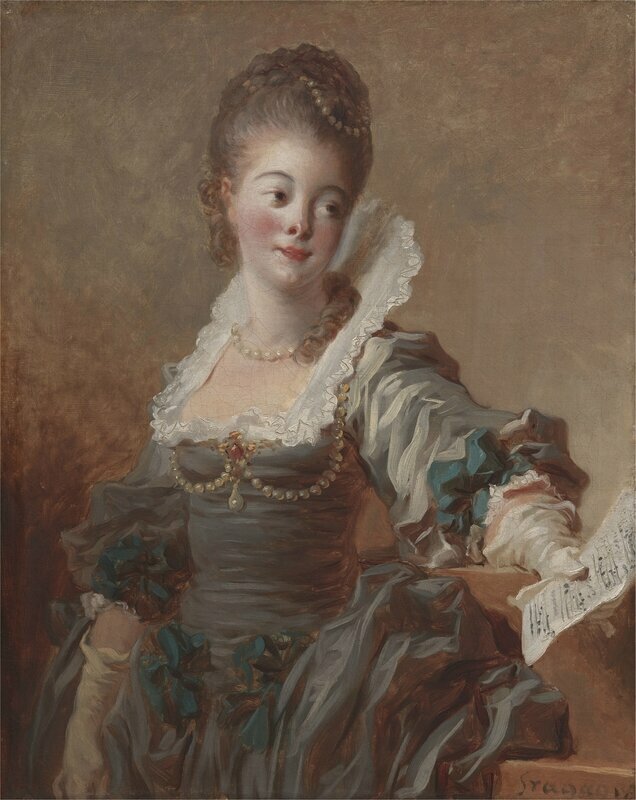 Jean Honoré Fragonard, The Singer, c. 1769, oil on canvas, Private Collection. 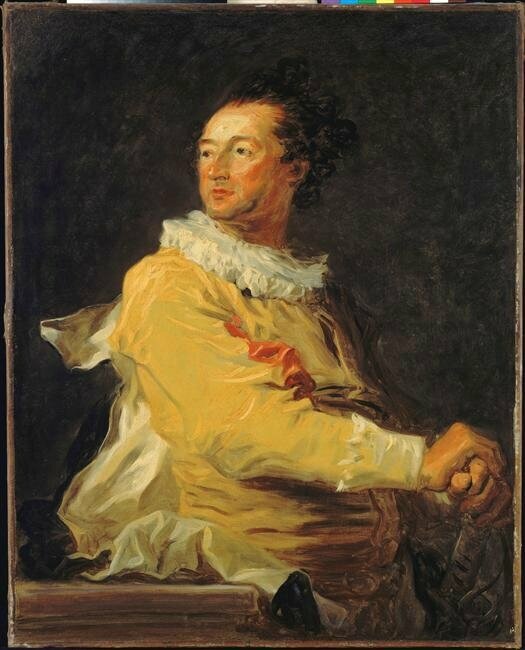 Jean Honoré Fragonard, Man in Costume, c. 1767–1768, oil on canvas, The Art Institute of Chicago, Gift of Mary and Leigh Block in honor of John Maxon. 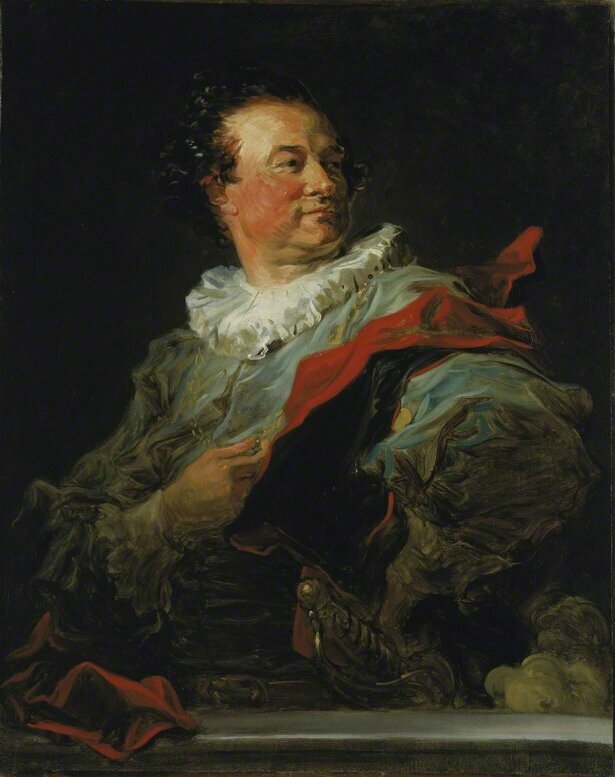 Jean Honoré Fragonard, Anne‑François d’Harcourt, duc de Beuvron, c. 1770, oil on canvas, Private collection. 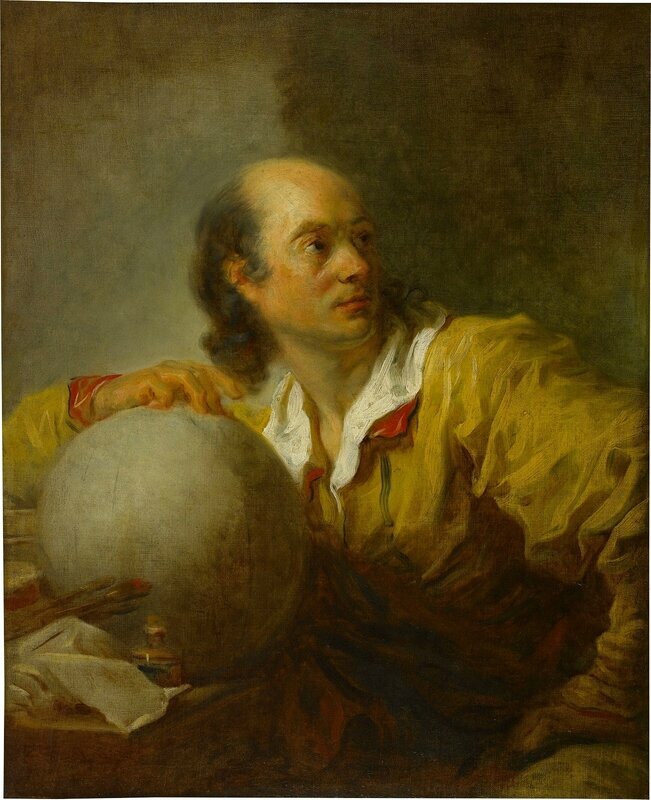 Jean Honoré Fragonard, François‑Henri, duc d’Harcourt, c. 1770, oil on canvas, Private collection.